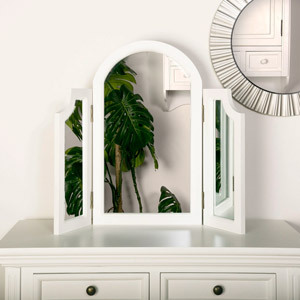 Ornate white painted tabletop vanity mirror in a triple design. 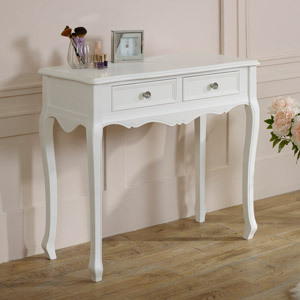 Vintage French shabby chic style, perfect for sitting on a dressing table. 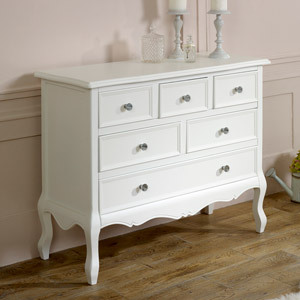 Matching furniture available in the Victoria Range. 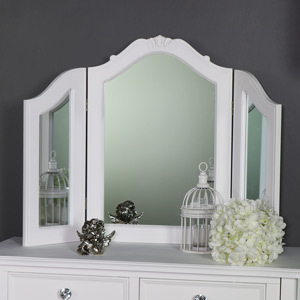 The mirror comes with 3 panels and features ornate carved detailing on the middle panel. 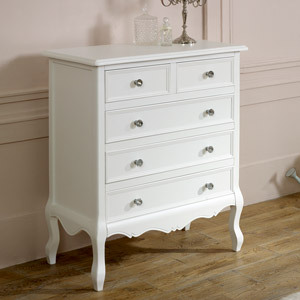 The Victoria Range comes with a matching dressing table & stool along with double wardrobe, bedside table and chest of drawers in varying sizes. The triple design of the mirror allows you to angle it for the best view. 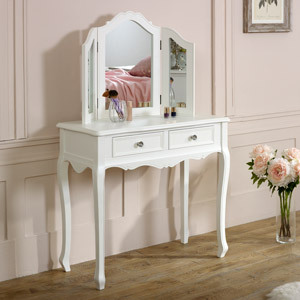 Ornate white painted tabletop vanity mirror in a triple design. 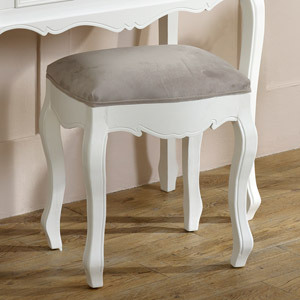 Vintage French shabby chic style, perfect for sitting on a dressing table. 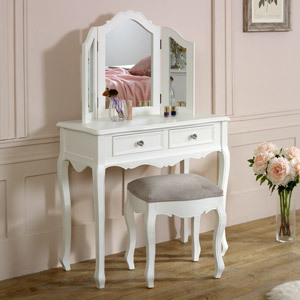 Matching furniture available in the Victoria Range. 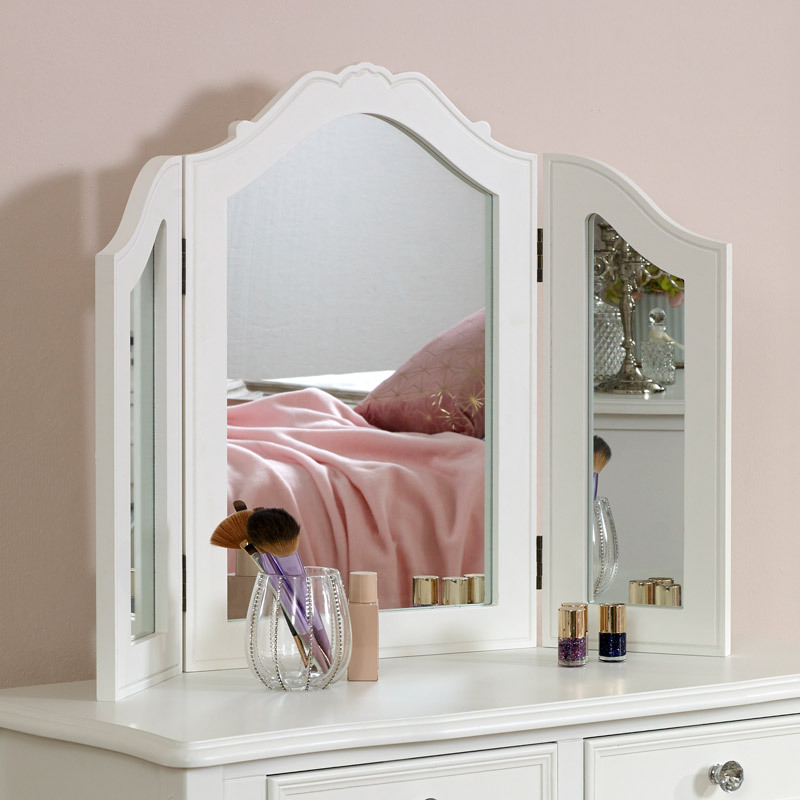 The mirror comes with 3 panels and features ornate carved detailing on the middle panel. 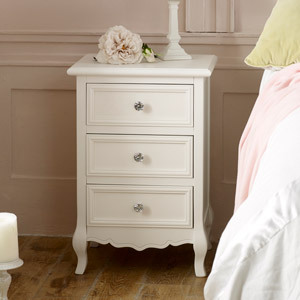 The Victoria Range comes with a matching dressing table & stool along with double wardrobe, bedside table and chest of drawers in varying sizes. The triple design of the mirror allows you to angle it for the best view. 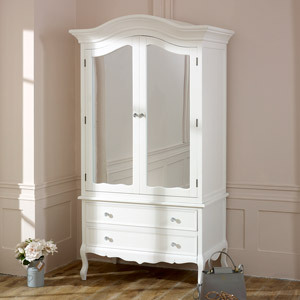 Wooden frame painted in a white satin finish and comes fully assembled. This mirror features 3 panels that can be angled to get the best position.